As chairman of the Norwegian Blood Cancer Association, I have long been aware that many of our members experience a wide range of late effects of cancer treatment including fatigue, pain, mental distress, and work and family challenges. These late effects often decrease the quality of life of cancer patients, but few patients are offered help to cope with them. This may stem from the fact that most oncologists and community based health providers have limited knowledge of the long term problems that cancer survivors face. To address this issue I have been advocating for increased access to cancer rehabilitation services, and I have been advocating for raising awareness about cancer rehabilitation and access. As a patient I have learnt at first hand how helpful such services can be. At the multidisciplinary cancer rehabilitation centre I attended I got help to build up muscle strength and stamina after my treatment and psychosocial group discussions with peers helped me cope with my fatigue. Getting support alongside my peers was helpful for it made me realise that what I was going through was, in effect, a normal reaction to aggressive cancer treatment. When I was invited to work with a group of cancer specialists working with adult cancer patients, cancer survivors, and health researchers to produce a systematic review on the effects of multidisciplinary psychosocial interventions for adult cancer patients I was pleased to accept. I had personal experience and knowledge of multiple patient perspectives and hold a strong positive belief in cancer rehabilitation. I fully expected that the review would find results which favoured multidisciplinary psychosocial intervention. Being a patient representative and co-author of a systematic review feels like undergoing an academic drill. There were many steps to follow, many tasks to learn and understand, and it entailed a lot of work. I have an academic background and this helped. Indeed I cannot imagine how I would have coped otherwise. Countless hours of reading, filling in forms, and completing work on deadline in order to prepare for workshops, was necessary to follow the progress of the review through each of its many steps. But I was happy to undertake this work for the topic inspired me and I firmly believed that our findings would be useful in advocating for cancer rehabilitation. Moreover, I wanted to understand how a systematic review was carried out for I thought this method would be useful in the enormous field of studies being done on blood cancer drugs and treatment. I am also aware that few of my fellow patient advocates in the European haematology field are aware of what systematic reviews are and how by identifying best evidence they can reduce harmful and redundant research. When the results of the review turned out to be inconclusive I was surprised and I wanted the possible reasons for this to be fully discussed in the paper. At least I wanted the promising trend of fatigue to be highlighted in the discussion. But the researchers wanted to discuss the low quality evidence and the need of better studies instead of discussing possible reasons and a promising trend. They were afraid to highlight that cancer rehabilitation may have value despite the fact that the review did not produce statistically significant results to support such an effect. This ended up being a matter of debate between us, but because of the training I had undergone and our established good working relations, we were able to understand each other’s perspectives and reach agreement. Overall my experience of working on this review was positive. The expectations of me as a co-author were clear, I had time to complete my work. 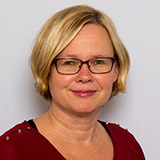 One example of adjustment in my favour was that my share of reading full text articles was small; I only had to read 14 out of 320 articles and the project leader (Hilde) let me choose which articles to read. What was difficult was being part of a systematic review that did not support my prior belief. But this was greatly helped by the respect afforded to me from the review author group and the time we spent jointly discussing why the findings were inconclusive and agreeing that a mixed methods review could be useful to broaden the picture. I was very happy for this result, because I believe it might bring hope for cancer survivors struggling with fatigue. I was hired by the The Regional Knowledge Translation Centre at Sunnaas Rehabilitation Hospital, Norway to conduct this systematic review together with cancer clinicians and patients, because I have had experience of conducting systematic reviews with multidisciplinary groups. I was pleased to take this project on for as a Cochrane review author of the effects of consumer involvement in research, I wanted to gain more experience of co-production of systematic reviews. I started by recruiting participants via email or by telephone to establish a reference group drawn from the hospital’s cancer rehabilitation network and their contacts. The reference group included cancer rehabilitation clinicians/researchers (a neurologist, a physiotherapist, a nurse, a social worker and a PhD-candidate), two cancer patients’ advocates (including Tone), and two researchers from the knowledge centre at the hospital. The reference group were invited to decide on the research question, the inclusion criteria, and comment on the search strategy, the results, and the implication for practice. This was challenging for none of them had experience in conducting systematic reviews. In the event only one patient representative (Tone), no clinicians and four researchers from the reference group accepted the invitation to participate fully in this review. This small review group conducted and wrote an article based on the systematic review. They met regularly between workshops and presented the progress of the systematic review to the reference group during workshops. I held four workshops to teach the reference group how to conduct a systematic review according to Cochrane Handbook. Prior to each workshop, written information on the topic was sent out. Workshops included an introduction to the current topic, hands on exercises, and small group discussions. Patient representatives and two retired clinicians/researchers from the reference group were offered compensation for travel expenses and for attending each workshop including one hour for preparation. To reach consensus, reference group members prepared for workshops through reflection and preparatory exercises. Small group discussions were used during workshops. If consensus was not reached at the workshop, the discussions continued by email until consensus was reached. One such example was when reaching a consensus on the choice of intervention and outcomes of the review’s objective (PICO, which refers to patient, intervention, comparison, outcome) and inclusion criteria. Some of the reference group members suggested the review focused on web based psychosocial interventions, but the patient representatives wanted to focus on face-to-face psychosocial interventions. Through discussions and good arguments, the patient representatives convinced the other group members and it was their suggestions that were followed. As a researcher it’s important to acknowledge that inconclusive and uncertain results do not indicate ineffective interventions. Rather, there is a need to be careful when interpreting the results. Qualitative research could contribute knowledge on why interventions are ineffective or inconclusive. Finally, when the evidence-base about effects of interventions is uncertain, decisions still need to be made. In this case, the review authors’ view was that clinical decisions need to be based on first hand experience from patients and clinicians as well as the (weak) evidence base. Tone Hansen, former chairman of The Norwegian Blood Cancer Association, cancer survivor, clinical psychologist. 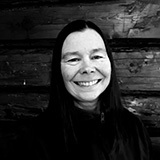 Hilde T. Myrhaug is a researcher at Norwegian Institute of Public Health, Oslo. She conducts systematic reviews and run courses in systematic reviews. Myrhaug HT, Julia Aneth Mbalilaki JA, Kersting Lie N-E, Hansen T, Nordvik JE. The effects of multidisciplinary psychosocial interventions on adult cancer patients: A systematic review and meta-analysis. Disability and Rehabilitation. https://doi.org/10.1080/09638288.2018.1515265.